The WG-1 is the proven choice for municipal, industrial and commercial drain cleaning applications. 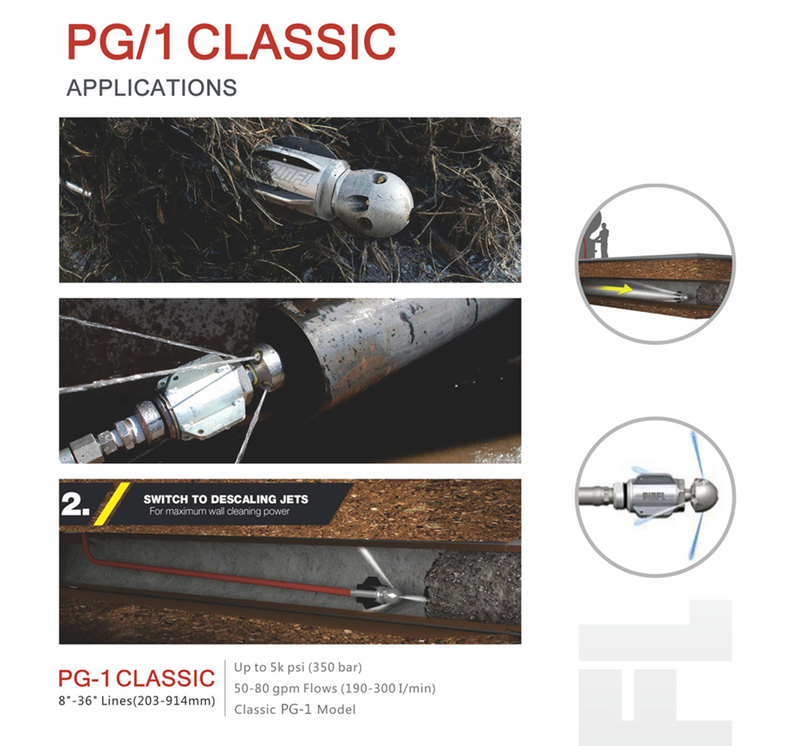 Predominately used in large combination trucks with 1" (25 mm) hose, the PG-1 is field-maintainable for low cost of ownership and can be fitted with replaceable AP2 nozzle tips sized to maximize pump efficiency and effectiveness. Looking for ideal STONEAGE NOZZLE Manufacturer & supplier ? We have a wide selection at great prices to help you get creative. All the WARTHOG NOZZLE are quality guaranteed. We are China Origin Factory of SEWER NOZZLE. If you have any question, please feel free to contact us.